Who wouldn't want $300 in scratch-off tickets?! Watch 10 News Midday all next week for your chance to win three hundred dollars worth of Florida Lottery scratch-off tickets. 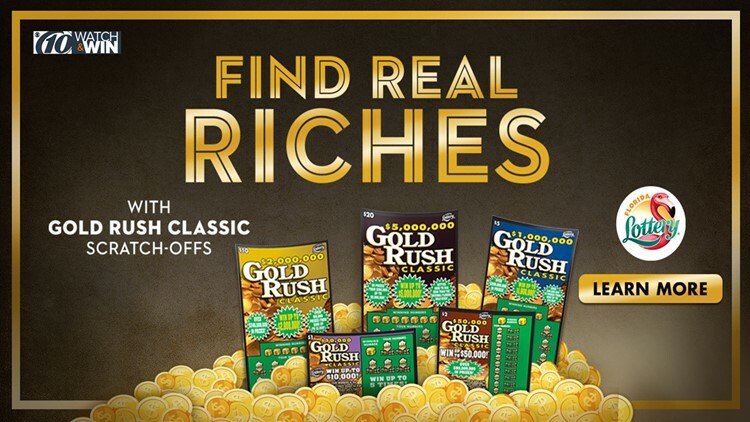 Find real riches with Gold Rush Classic. Grand Prize adds $500 in electronics store gift cards! Register here for your chance to win!